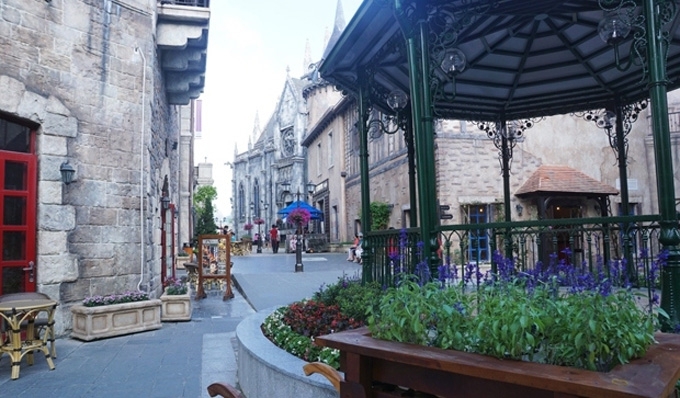 The ‘A glimpse of France’ week will take place from July 10-16 at Ba Na Hills Mountain resort in the Ba Na Mountains, one of the most popular destinations in Da Nang. The event promises to offer visitors an opportunity to enjoy French culture with a series of activities, including street art, French cuisine, a village fair and film screenings. La Chancellerie Street to Saint Denis cathedral in Ba Na Hills is a central destination for tourists. Taking a stroll on the La Chancellerie Street, travellers have a chance to understand and enjoy French cuisine in mobile kiosks and restaurants such as Le Terroir, La Crique, and Café lounge Sur le Fil restaurants. Beside cuisine, European musicians will bring visitors a traditional music atmosphere. Meanwhile, film screenings will be held every day, presenting many well-known French films. The ‘A glimpse of France’ week aims to give a unique experience to visitors at Ba Na Hills Mountain resort in the Ba Na Mountains.